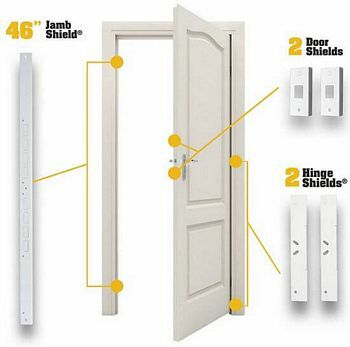 In seeking the best product to reinforce the front door, many people stumble upon ArmorConcepts’ Door Armor Max Combo Set. Many of these people purchased the kit and installed it. What are their experiences with the set? Was it easy to install? Are they satisfied with product’s performance and quality? We decided to search the internet in order to find what customers are really saying about the Door Armor Max Combo Set. It took us all day to complete this task, but we can say with 100% certainty that the kit meets up to expectations! It’s rating is 4.3 out of 5 stars! On one website, there are 239 reviews. These are all verified purchases. 84% are 5 (60%) and 4 (24%) stars! Very few products in the home security category have such big ratings. Many customers said that the kit is fairly easy to install. One of them said that it was so simple that he purchased two more kits to put them on all his entry doors. Others point out that you can immediately see and feel difference once installed. One customer wrote that his door now feels like a commercial security door and not some contractor grade residential doors. He added that only a tank can now knock down his door re-enforced with the Door Armor. Many users praise its very simple design and choice of colors. They also compliment the parts and materials, describing them top notch. They all agree that the Max Combo Set will unquestionably discourage intruders. A number of customers like that some portions of the kit are visible from the outside. For them, this serves as a deterrent. A man pointed out that he would never own a house and have front doors without this kit installed. It makes him feel much safer knowing this set is installed. I really liked a comment left by a customer who said that because of how easy it is for intruders to kick in door jambs, all new houses should come with something like this armor. Several customers said they only wish they had this set months or years ago, before their doors were kicked in. A guy wrote: “If I had this, I wouldn’t have lost my two favorite guitars”. Another added that hopefully it is a piece of hardware that won’t ever be tested but it’s comforting knowing it is there. 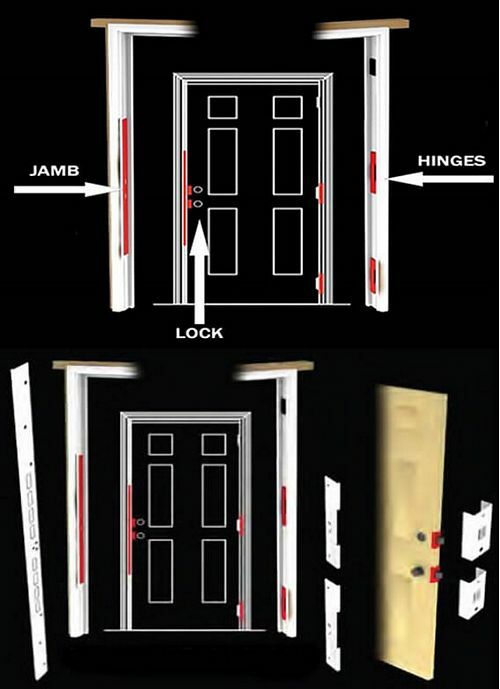 If you are still not sure if you need this door frame and hinge reinforcement, let me remind you that almost all door jambs are typically made of cheap wood. They do this in order to keep cost down. But this creates a huge problem. You now have a weak point for your door making it very easy to kick in. After installing this, I guarantee you that you will feel a difference in how sturdy your door gonna be. 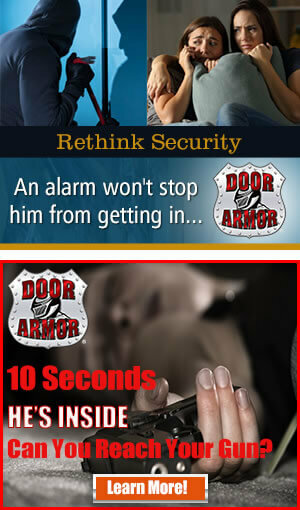 Sleep well knowing that no one (except James Bond) can break into your home! The Door Armor Max Combo Set is lifelong protection that is well worth it.